Cheap Weekend Fun in Boston for February 21-22, 2015! Let’s hope for a snow-free weekend, that would be nice right? 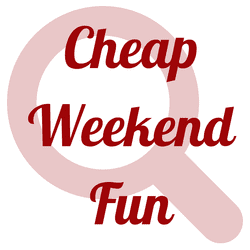 Here are some cheap and free things to do in the Greater Boston area during my birthday weekend, I mean, February 21-22, 2015! If you’ve been coped up all week, you can also check out my ideas for budget-friendly things to do during February Vacation Week, which is ending this weekend. MFA Free Day: Saturday, February 21, 2015. The Museum of Fine Arts in Boston is free this Saturday for Lunar New Year! Slope Fest: February 20-22, 2015 at the Lawn on D in South Boston. Enjoy an urban escape of a two-story high slope for tubing and much more winter fun! Free. Franklin Park Snow Day: Saturday, February 21, 2015. Bring a sled and have some winter fun at Franklin Park! Zoo New England February Vacation Week deal: Through February 22, 2015, the Franklin Park Zoo and Stone Zoo are offering $5 admission during February Vacation week! Try Hockey for Free Weekend: Saturday, February 21, 2015. Kids ages 4-9 across America can try hockey for free at participating locations! Also, you may want to check out #DigOutDineOut for great specials at local restaurants and more to entice you to support local businesses that have been hurt due to the snow and cold weather. There’s a lot of great deals to be had! Also, if you do decide to go out, here’s a few promo codes for other Boston transportation options other than the T if you are interested. Hope you have a great weekend and please let me know if I missed anything fun in the comments below!